The royal has revealed that he and the Duchess of Cambridge are really into their music. Prince William fancies going to Glastonbury. The 34-year-old royal has talked about going to the iconic music event held at Worthy Farm his wife this year because they're both really "into" their music, but has decided to lie low after he was heavily criticised last month when a clip of him on holiday "dad dancing" emerged online. Speaking to the BBC on Friday (21 April), the Duke Of Cambridge said: "Unfortunately it's quite tricky [to go to concerts]. I talked about going to Glastonbury because I am really into my music and Catherine as well. "We talked about going to Glastonbury. I've got into enough trouble for my dancing recently so it's probably best to keep away from that." Although they won't be hitting the fields for a boogie under the stars this summer, William and Catherine - who got married in 2011 - won't be short of things to do as they have admitted they're obsessed with box sets at the moment. The prince said: "We're actually quite keen on box sets. We like to watch box sets ... We've watched Homeland, we're big fans of Homeland. Games of Thrones we've watched as well. Seems like everyone has seen it ... "
Despite having their downtime, the Duke and Duchess are still taking their royal duties very seriously, and opened the Global Academy with Prince Harry on Thursday (20 April) along in support of Heads Together. They met students training to be the next generation of production staff, as Global stations LBC, Heart and Capital broadcast shows from the Academy. The shows each had a mental wellbeing theme, helping to generate conversation with the Heads Together campaign in honour of the visit. 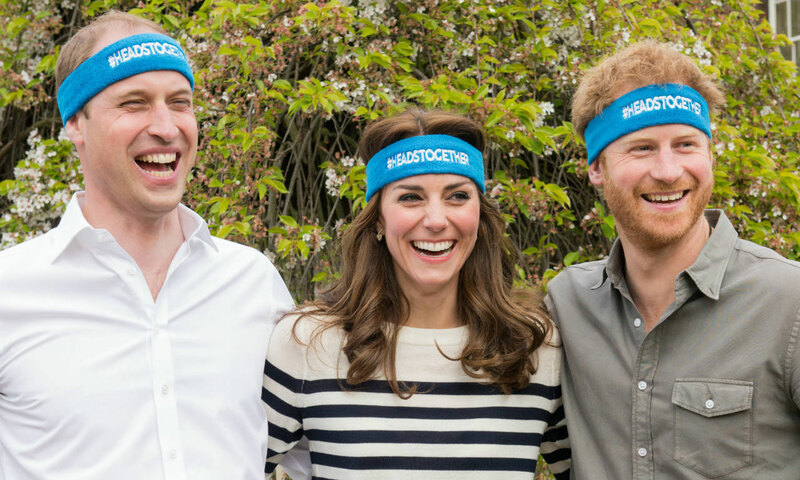 Heads Together is spearheaded by The Duke and Duchess and Prince Harry, in partnership with eight leading mental wellbeing charities that are tackling stigma, raising awareness, and providing vital help for people with mental health challenges. They are highlighting the power of conversations, how being able to talk openly about mental wellbeing, can be life-changing.